The adventurous, treasure-loving master thief Lupin the Third is at it again. This time, Lupin’s after the long-lost Gold of Babylon! 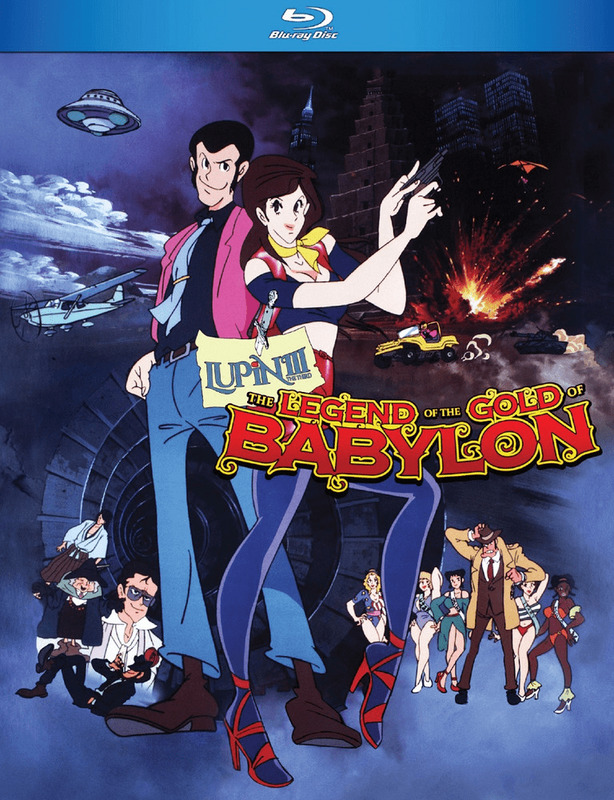 With the aid of his partners Jigen and Goemon, Lupin treks the globe unraveling clues and dodging the violent New York Mafia, all while escaping the cuffs of the tenacious Interpol Inspector Zenigata and his team of five beautiful and determined policewomen. But what does the enigmatic and flirtatious old booze hound named Rosetta have to do with the fabled Babylonian gold deposit? Co-directed by the cult favorite film director Seijun Suzuki and matched with Yuji Ohno’s infectious breed of jazz, this animated romp is a bizarre and colorful adventure that whisks viewers from New York to the Middle East (and back!) in search of a fabulous treasure inspired by the biblical Tower of Babel. Released for the first time on Blu-ray in the US, this Includes a brand new English dub featuring the Lupin Part II cast!